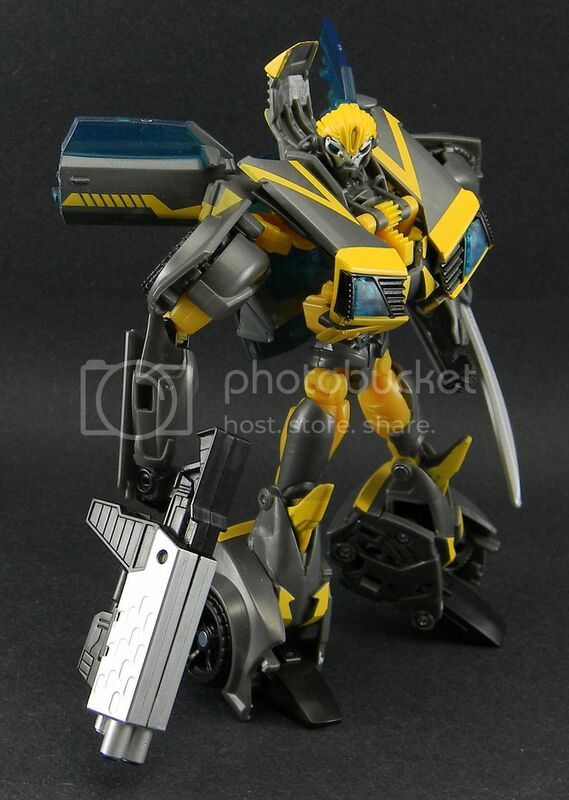 PRiD Bumblebee was a disappointment. It's odd head placement with the low sitting chest looks entirely off from the show model and the sea of yellow just made it rather boring. Then came the HotShot mold with a new head and entirely new colors. The fun of the figure had a chance to shine through. Sweet, it was a fun toy after all! This here is my Combat Hero Bee. He's here to defend us from his nemesis, Murderbee! Pick this toy up, guys! It's pretty damn cool. And here I am, all happy because my Encore #10 set came in and I have G1 Bee with Cartoon accurate head! 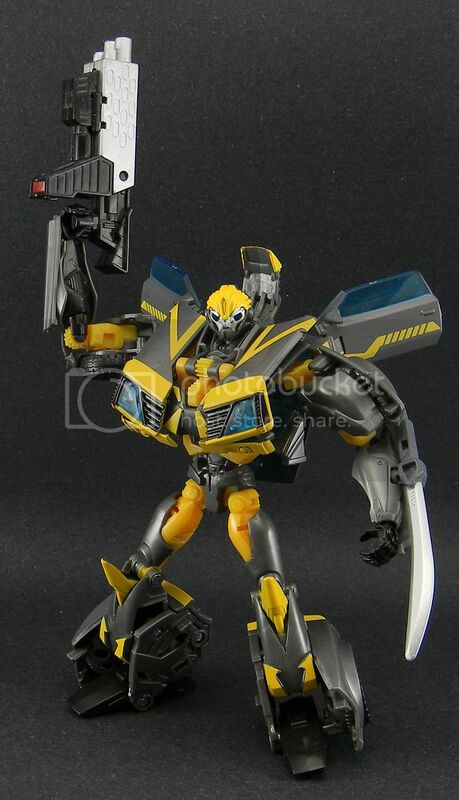 Rumble Bee does look good with weapons, who would have thought, huh? My target still has 100000 regular Bees on the shelf, not a single new figure from any of the other waves. Start hitting up TRU and Walmart. That's where this wave is starting to flood.